Baseball fever starts anew each spring and there’s no better place to experience it than New York State. Cooperstown is that capital of America’s pastime with the National Baseball Hall of Fame and Museum, where you can take your little sluggers to the Hall of Fame Classic on May 25 or Hall of Fame Induction Weekend from July 19 to July 20. Even if you don’t follow baseball, you are likely familiar with New York’s two Major League teams, but opportunities to root, root, root for the home (or away-from-home) team extend beyond New York City&apos;s Mets and Yankees. 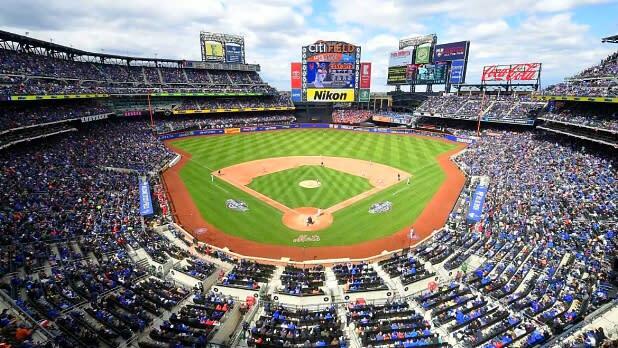 You may be closer than you think to a ballpark and an unforgettable day exploring New York. The Buffalo Bisons, an International League team and the Triple-A affiliate of the Toronto Blue Jays, have been around in some form since 1877. With impressive attendance records, a game at Sahlen Field, one of the largest stadiums in minor league baseball, is sure to be a home run. Concessions include local classics like Sahlen’s hot dogs, Wardynski’s sausages, and Original Pizza Logs (kind of like a pizza egg-roll). Before and after the game: Just two blocks from the stadium is the Pierce-Arrow Museum with an impressive collection of automobiles and other vehicles from the 1900s to the 1960s. Even closer is the Black Button Distilling Tasting Room and Bottle Shop where you can learn the process behind their craft spirits (made with local NY grains), and yes, you can try them. A quick drive north takes you to Anchor Bar, where the Buffalo wing—the ultimate snack for sports fans—was invented back in 1964. Batavia, just 45 minutes from Buffalo, is one of the smallest cities in the country to host a professional baseball team. The Batavia Muckdogs play in the New York–Penn League at Dwyer Stadium and are the Short-Season Class-A affiliate of the Miami Marlins. The team name pays tribute to the regions’ mucklands—fertile soils that grow onions (nearby Elba calls itself “The Onion Capital of the World”)—and the feral dogs that may have roamed said mucklands before farmers tamed the land. Before and after the game: For a sugar fix, stock up at Oliver’s Candies, open since 1932. They are still using the old family recipes for their famous hand-dipped chocolates, ribbon candy, and sponge candy. Find toys that don’t need batteries (or wifi) at Adam Miller Toy & Bicycle shop, featuring old-fashioned fun like Slinkys and pogo sticks. Stop by the Batavia Peace Garden, a memorial to when Batavia held back the British in the War of 1812, which now represents peace between the U.S. and Canada. You’ll find plenty of dining options on and around Main Street. 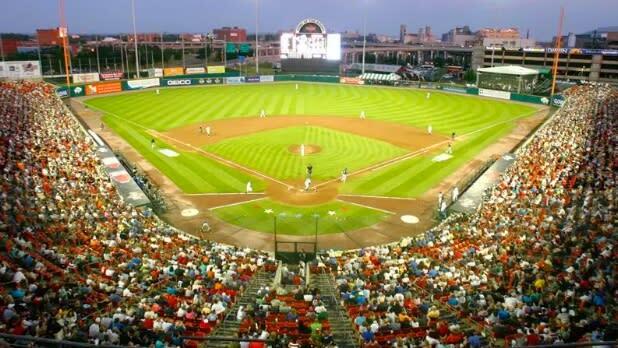 Frontier Field will host 70 home games in the 2019 season for the Rochester Red Wings, an International League team and the top minor league affiliate of the Minnesota Twins. Summer holiday home games will be held on Memorial Day and Labor Day. On Thursdays this season, the team will transform into the “Rochester Plates” for home games, as a tribute to Rochester’s local delicacy, the “Garbage Plate”, a beloved dish with home fries, french fries, macaroni salad, and baked beans topped with meats, spicy mustard, chopped onions, and hot sauce. 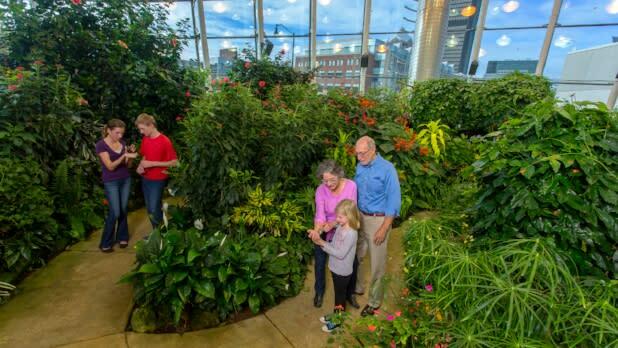 Before and after the game: From Red Wings to Dancing Wings, explore the Dancing Wings Butterfly Garden at The Strong Museum, where kids can also sit on the stoop from Sesame Street and play “supermarket” in a toddler-sized Wegman’s. The whole family is welcome at Genesee Brewing Company, founded more than 140 years ago. 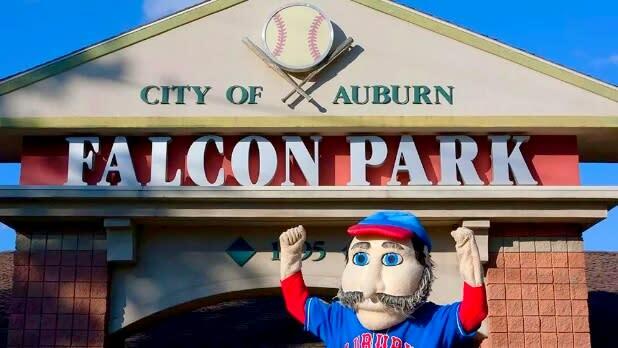 The Auburn Doubledays, of the New York–Penn League and an affiliate of the Washington Nationals, are named after Abner Doubleday. Doubleday was a Civil War general from Auburn often credited with inventing baseball. The team mascot is named Abner and is modeled after Doubleday, down to his signature &apos;stache. Home games are held at Leo Pinckney Field at Falcon Park. Before and after the game: Grab lunch or dinner at nearby restaurants like Curley’s Restaurant (tavern food and traditional Italian), The Sunset (fine-dining in a casual setting), or Parker’s Grille (with plenty of finger food for picky eaters). From Auburn, the Finger Lakes are at your fingertips—the Cayuga Lake Wine Trail, water sports on Owasco Lake, and fishing tours by Upstate Guide Services Inc. are just the beginning. 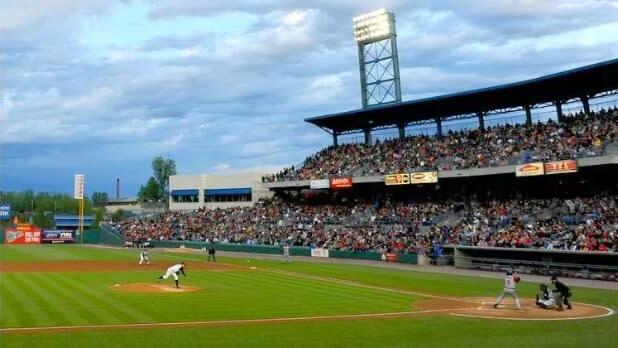 The Syracuse Mets are the New York Mets&apos; new Triple-A minor league affiliate in 2019, playing home games at NBT Stadium. The new team will bring serious star power to Syracuse, as up-and-coming Mets players will make their final stop here before reaching the Majors. All eyes will be on Syracuse in spring 2019 as one of sports&apos; most well-known figures, Tim Tebow, continues to try to complete his transition from one-time NFL quarterback to future Major League ballplayer. Before and after the game: Shop for art, lighting, furniture, and more at the Syracuse Antiques Exchange or for farm-fresh fruits and veggies as well as crafts and artisanal food products at the Central New York Regional Farmers Market. 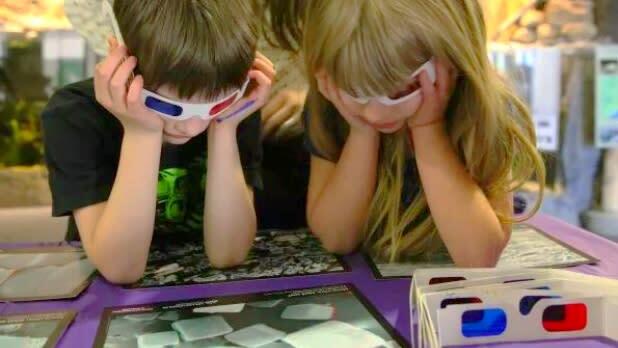 For an interactive adventure for the whole family, visit 5 Wits to protect a castle from an escaped dragon or battle an asteroid storm in outer space. An Eastern League baseball team playing at NYSEG Stadium, the Binghamton Rumble Ponies (a nod to the Triple Cities’ nickname, “the Carousel Capital of the World”) are the Double-A affiliate of the New York Mets. Exciting promotions during the 2019 season include "Fireworks Friday" (with 11 shows planned), "Take Me Back Tuesday" (every Tuesday home game is themed to a different era), and "Christmas in July" (July 27). Before and after the game: Throw back some local brews at Water Street Brewing Co., Galaxy Brewing Company, (or both! 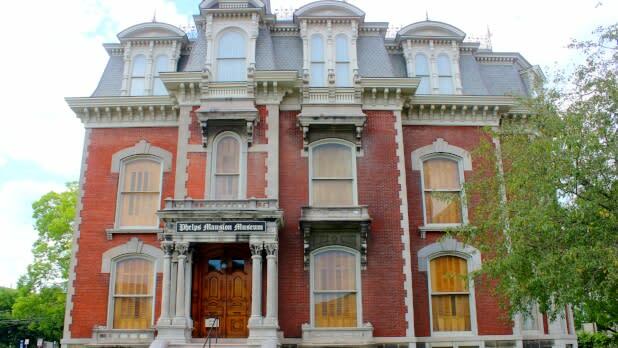 ), or tour the Phelps Mansion Museum, a beautiful example of the Gilded Era of architecture and design. Meet some world-famous giraffes at Animal Adventure Park, 2018’s I LOVE NY Bracket winner. 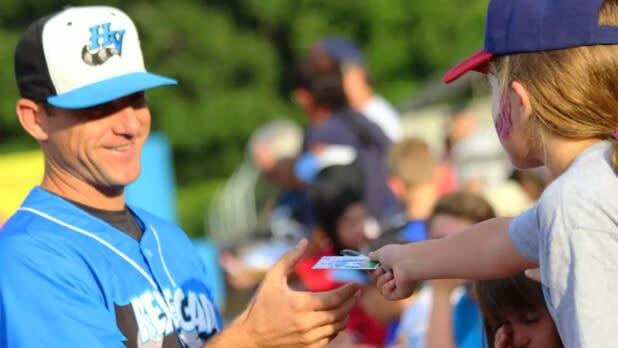 The Hudson Valley Renegades are the New York–Penn League three-time champions, reigning in 1999, 2012, and 2017. 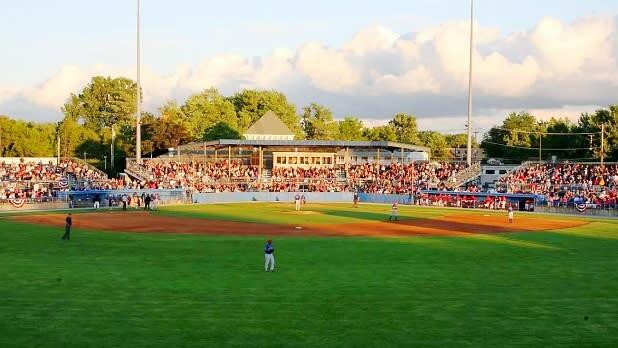 The team, an affiliate of the Tampa Bay Rays, plays home games at Dutchess Stadium in Wappingers Falls, outside of Beacon and across the river from Newburgh. A few raccoon mascots (Rookie, Rene, Rascal, and Roofus) are often present at games. Before and after the game: Stony Kill Farm and Environmental Education Center is right down the road from the stadium. Tour the barn, meet the animals, visit the greenhouse, look for butterflies in the gardens, and more. Don’t miss your chance to take a free evening sail on the Hudson River from the Beacon Sloop Club at the Woody Guthrie Sloop nearby. The Tri-City ValleyCats (or the ‘Cats), an affiliate of the Houston Astros in the New York–Penn League, play at Joseph L. Bruno Stadium in Troy. If your kids are excited about costumed characters, there’s no shortage here. Depending on the day, you might see mascot cats named Southpaw, Pappy, and Ribbie, Uncle Sam, Spiedie the Chicken, Zoggy the Dinosaur, and Rowdy the River Rat, among others. Before and after the game: Head to the Children’s Museum of Science and Technology, named one of the top 20 science centers in the U.S. by Parents magazine, or the Burden Iron Works Museum if your crew includes any history buffs. The Staten Island Yankees are the New York–Penn League affiliate team of the New York Yankees and are thus often dubbed the “Baby Bombers." The Richmond County Bank Ballpark is along the waterfront in St. George, which means you can catch some stunning sunsets during evening games. Before and after the game: Take the (free!) Staten Island Ferry to and from the game and let the wind whip through your hair while getting insane views of downtown Manhattan and the Statue of Liberty. Learn about the history and technology of lighthouses in the U.S. at the National Lighthouse Museum or have some super-sized fun at the Staten Island Children’s Museum with larger-than-life insect sculptures and giant board games. 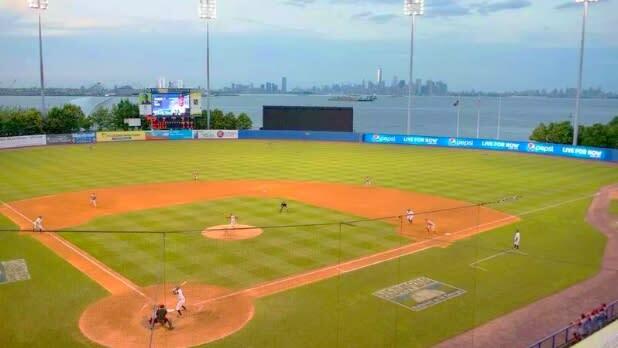 The Brooklyn Cyclones, an affiliate team of the New York Mets, play at MCU Park in the New York–Penn League. While you’re cheering on the team, sip local beverages from Brooklyn Brewery and Coney Island Brewing Co. and chow down a Nathan’s Famous hot dog (or two), renowned on the Coney Island boardwalk since 1916. Before and after the game: MCU Park is right next to the iconic Coney Island boardwalk. 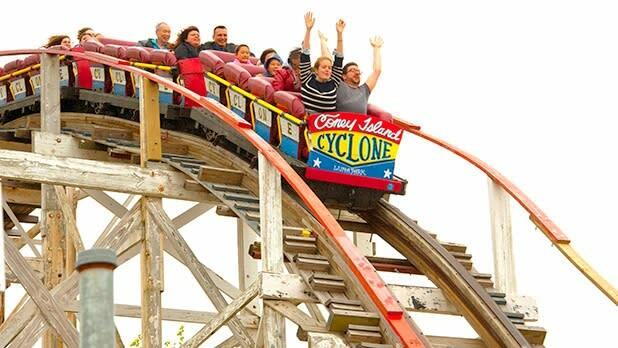 Visit Luna Park to ride the Cyclone wooden roller coaster, for which the team is named. The ride opened in 1927 and is on the National Register of Historic Places. Stroll the boardwalk, watch the sea otters being fed at New York Aquarium, and dip your feet into the ocean if it’s still sunny out. The world-famous New York Yankees are New York’s American League team. The legendary club has won 27 World Series, more than any other MLB team, and has showcased many of the game&apos;s greatest players, from Babe Ruth and Lou Gehrig to Derek Jeter and Mariano Rivera (all current or future Hall of Famers). 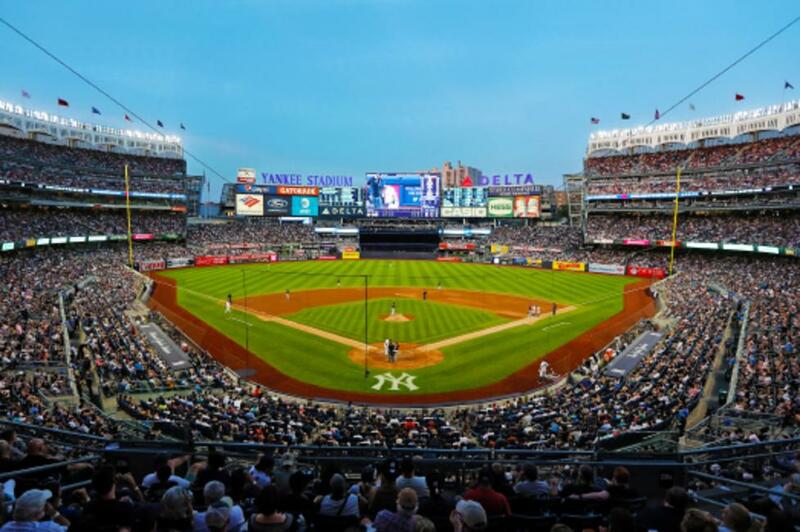 At Yankee Stadium in the Bronx, you’ll find one of the most passionate fan bases in all of sports, as well as first-rate concessions and of course Monument Park, featuring plaques devoted to the Yankees&apos; best-known stars. 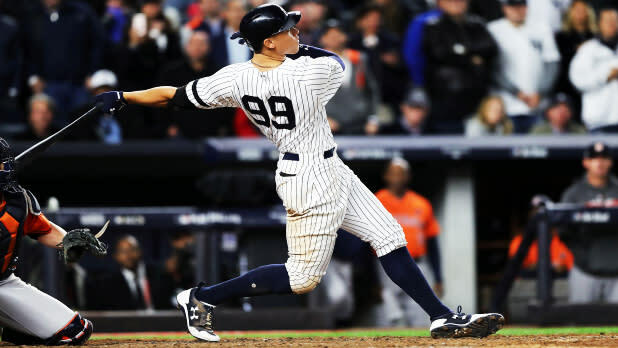 Before and after the game: For the full Yankees experience, take either the 4, B, or D subway trains up from Manhattan to 161 St-Yankee Stadium and hit up Stan’s Sports Bar with other fans before the game. Farther up in the Bronx are popular destinations of the Bronx Zoo, New York Botanical Garden, and Arthur Avenue for some authentic Italian cuisine. The New York Mets, New York’s National League team, haven&apos;t won as many championships as their crosstown rivals, the Yankees, but the two-time World Series winners boast a devoted fan base, and at the moment, one of the best pitching staffs in baseball, anchored by 2018 NL Cy Young Award winner Jacob deGrom. The Mets&apos; home Citi Field in Queens offers arguably the best food lineup of any Major League ballpark. The Mets and their fans are well-fed with Shake Shack, Fuku (yes, as in Momofuku), Blue Smoke, and Pat LaFrieda&apos;s steak sandwiches, a giant craft beer hall, as well as dozens of other choices. Before and after the game: Nearby, you’ll find many of Queens’ most popular attractions, including New York Hall of Science, Queens Museum, Queens Zoo, and Queens Botanical Garden. You can also find incredible dumplings, dim sum, and egg tarts in Flushing’s Chinatown a few minutes away.